Advanta IRA’s professional resources are all proud graduates of Advanta IRA University (Advanta U) and received certificates designating them as self-directed IRA specialists. 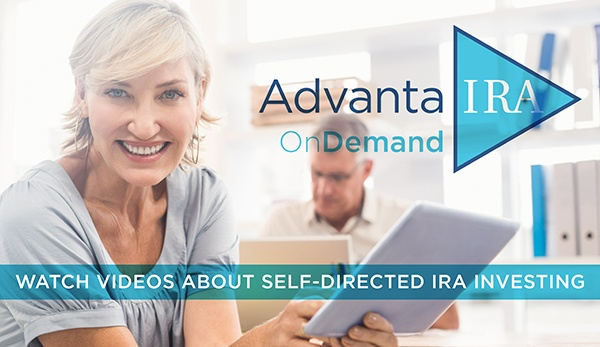 These individuals have successfully completed specialized Advanta U course curriculum relative to their professions to learn how self-directed IRAs and other accounts work. This knowledge enables them to become valuable assets to their clients and potential clients who are investors. To achieve this designation, these professionals completed an extensive training program that gave them the requisite knowledge to better assist other individuals looking to invest within a self-directed IRA. Georgia Broker/CEO | Buy n Sell, Inc.
Shoe Realty and Management, Inc.
Advanta IRA, and all affiliates that encompass individually owned offices under the Advanta IRA brand, performs the administrative duties of a self-directed retirement plan custodian. We do not provide investment advice, sell investments, or offer any tax or legal advice. Advanta IRA does not endorse nor are we affiliated with financial, tax, or legal professionals, investments, investment sponsors/brokers, including but not limited to professionals designated as self-directed IRA specialists through Advanta IRA University who are listed as such on our Professional Resources web pages. Clients and potential clients are strongly advised to seek the appropriate tax, investment, and legal counsel, and also to perform their own critical due diligence regarding these professionals as well as with any investments being considered. Self-directed IRA specialists listed in our Professional Resources sections on this site are not to be considered the only professionals one should explore when making investing decisions. These lists are for informational purposes only.